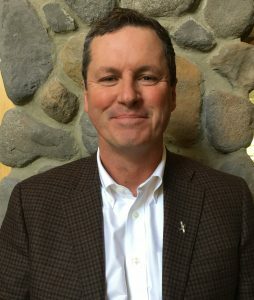 Luke Frazier joined Judson at Home (JAH) in April 2017 as its first Vice President. Previously, JAH had been part of the Homecare Division. With the growing number of older adults choosing to remain living at home for as long as possible, it made sense to Judson leadership that JAH become a larger focus for the organization. Luke, a native of Connecticut, brings a diverse and textured background to his work at Judson, including experience in nonprofit management, public broadcasting, social work, and marketing. He holds an undergraduate degree from Ohio State and a law degree from the University of Maryland. He also studied communications at Emerson College in Boston. The development of JAH in new directions excites Luke, “I think that JAH can be the national leader in offering at-home services for older adults. We’re committed to supporting our Members’ goal of continuing to live independently at home.” He adds that the idea of helping Members to remain the author of their own life story is what drives the entire Judson at Home service. Jan Bohinc joined Judson in 2006 as part of the Homecare Division team. She brought extensive experience in the field of aging, including six years as a program director at the Alzheimer’s Association Cleveland Area chapter, which is nationally recognized for its pioneering programming for individuals with memory loss and their families. She also dedicated 10 years of her career to the Benjamin Rose Institute, a national leader in geriatrics. Jan’s education includes a MA in social science administration from Case Western Reserve University’s Mandel School. Currently, she provides social work services, including social functioning assessments, for both the hospice program and Judson at Home. Jan is also a Judson Smart Living Professional, assisting clients with their varied and complex daily needs. Sheri joined Judson at Home (JAH) in August of 2016 as a Sales Counselor, and added program development responsibilities in September of 2017. Her professional background includes extensive sales experience across several industries, applied marketing, and work in the field of professional development. Sheri is also an entrepreneur who founded a successful food industry company in Columbus Ohio, selling it because she moved to Cleveland. Her education includes a Communications degree from Ohio State and she has participated in a variety of professional development courses to advance her career goals.